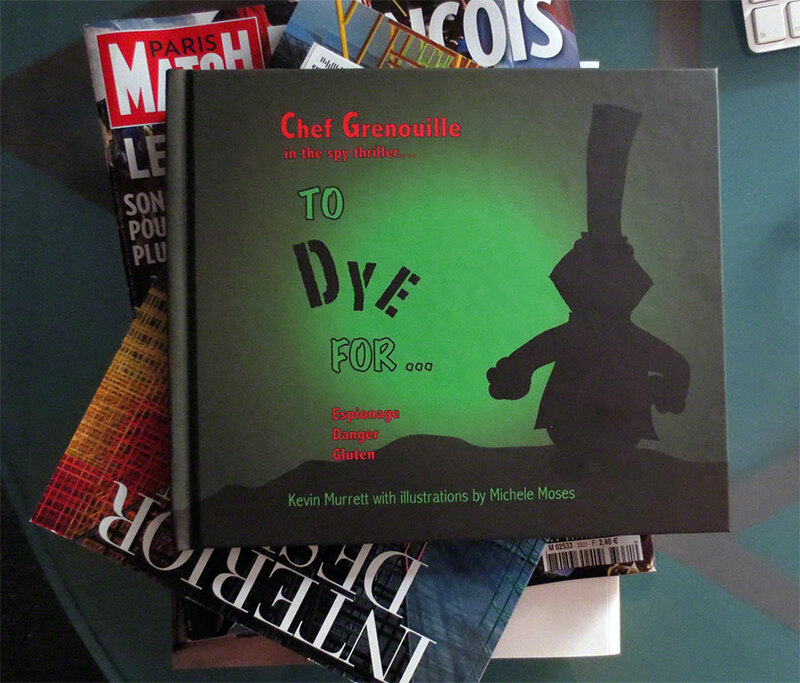 “To Dye For...” is the third book of my adventures as France’s most celebrated chef. Previous editions were written and illustrated by my personal Design Consultant, Michele Moses, with editing by my Business Manager, Kevin Murrett. Kevin is a talented writer who devotes most of his time to practicing architecture, leaving little time to document my many adventures. So after learning of my latest escapade, a determined Kevin spent his 2012 vacation slaving poolside in the South of France scribbling notes in his journal while Michele and I watched and waited patiently. Each evening during l’heure d’apéritif Kevin reviewed his progress with Michele and I. By the end of the vacation a rough draft was ready and Michele began the long task of bringing the story to life through her illustrations. The result of this collaboration is a tale nothing short of genius highlighting my many talents and cunning sense of humor in a world filled with espionage, danger and gluten. Many thanks to my good friends at l’ Auberge La Fenière in Cadenet for inspiration and exquisite hospitality. Learn more about me, the famous Chef Grenouille and my business partners Kevin + Michele. The book is 58 pages with fantastique illustrations accompanying each turn of a page. Published through BLURB, it is available in hardcover, a collectors item for $46.90 with an Ipad Ibooks version at $9.99. I think you will love it.....it's to dye for!